Forward-looking owners and CEOs of small and mid-sized firms have been monitoring their costs to manage their bottom lines and take advantage of this anticipated upturn in the U.S. economy. As the business climate of 2017 continues to unfold and opportunities present themselves, owners and CEOs must continuously assess cost drivers to make sure that their costs are in line with increased revenues to increase their profitability. Businesses typically deal with sluggish economic conditions by cutting costs to maintain profitability, and many companies did this successfully during the years after the recession. Some, however, have failed to fully realize the benefits of implementing these cost-cutting measures. Sometimes, costs are merely shifted to other areas of the company instead of being eliminated. Other times, costs can slowly creep back in areas where they were originally cut. In the current improving business environment, cost containment and the reinvestment of cost savings for selected priorities must continue to be a high priority and scrutinized with shared accountability among everyone. Understanding the causes of ineffective cost-cutting measures is crucial to successfully implementing a growth strategy funded at least in part by cost-cutting measures. The best way to avoid these and other negative impacts of ineffective cost cutting is to perform a cost-benefit analysis before you implement a cost-cutting program. This will enable you to reinvest cost savings in alignment with your corporate strategy and develop your growth strategy with an understanding of how cost savings will be allocated. It’s usually smart to devote these saved dollars to two or three specific corporate initiatives rather than spread them thin among many different possible initiatives. This will help ensure that your company receives a true payback on your cost-saving measures while also making it easier to gauge the impact and ROI that’s achieved because of implementing them. § It’s a more cost-effective approach to generating funding to pursue strategic growth initiatives. § It becomes easier to identify the best areas in which to invest cost savings. § Operating efficiency and ROI are improved. § Customer service and customer relations are enhanced. As we near the midpoint of 2017, both the business and economic environments remain relatively healthy and strong. Forward-looking owners and CEOs have been monitoring their costs to manage their bottom lines and take advantage of this anticipated upturn in the U.S. economy. In the current improving business environment, cost containment and the reinvestment of cost savings for selected priorities must continue to be a high priority. 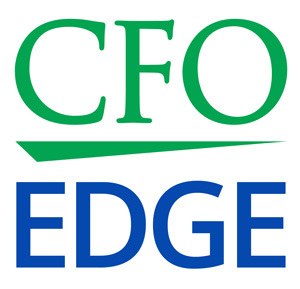 An outsourced CFO services provider can help you perform a cost-benefit analysis that will enable you to reinvest cost savings in alignment with your corporate strategy.